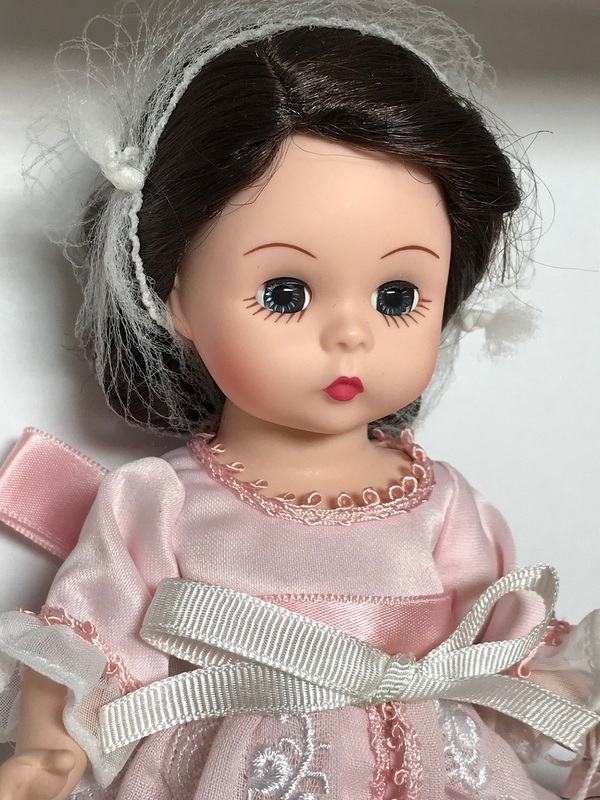 The much loved, Victorian children's illustrator and artist, "Kate Greenaway," is featured here as an 8" blue-eyed, brunette doll with the iconic Wendy doll face. She's wearing the style that "Kate Greenaway immortalized in her illustrations - pretty empire dress with feminine bonnet. Her pink satin dress (lined) features a fitted skirt, long sleeves with Georgette cuffs and picot trim edging the neckline. The dress is fitted with a semi-sheer, full over-skirt which opens in the front and is embellished with elegant embroidery and little pink bows adorned with tiny pearls. 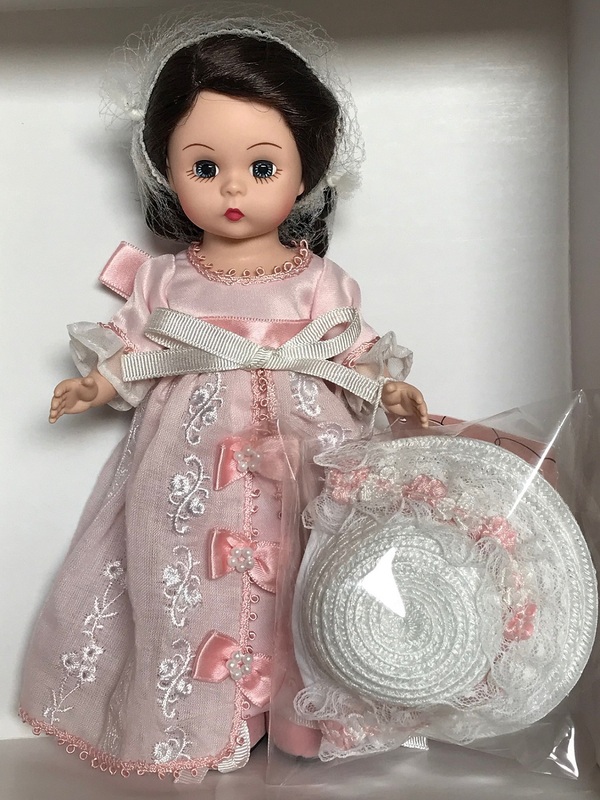 Her outfit also includes lace-trimmed satin pantaloons, white knit socks, pink flocked Mary Janes and white straw bonnet with frilly trim. NRFB - Hangtag shows that she is a Limit Edition of 75 pieces. The Alexander Doll Company sold us 6 pieces after the Convention - all NRFB - none had COA - just hangtags.